The Intermec® CK30 mobile data collection terminal continues the tradition of delivering on Intermec’s promise of rugged, reliable computing that will position your enterprise for the future with a combination of best-in-class features and functionality, such as thoughtful ergonomic design and integrated imaging options. With an unparalleled capability to perform legacy applications, the Intermec CK30 gives your enterprise investment insurance because it is the ideal bridge between the technologies you’re using today and what you will need tomorrow. The Intermec CK30 delivers the right blend of features and performance with the Microsoft® Windows® CE .NET operating system, designed to provide the optimum combination of real time operation, tools support and standard connectivity available today for battery driven, mobile data collection devices. The CE .NET operating system minimizes memory requirements, reduces complexity and allows the application developer to completely customize the user interface that is appropriate or desirable. CE .NET also supports mainstream application development tools for starting from scratch or upgrading existing applications. For client applications, the forward-looking .NET Compact Framework and Visual Studio .NET development tools will minimize any modifications between different .NET devices that might otherwise be required, including the Intermec® 700 Series Pocket PC mobile computer. 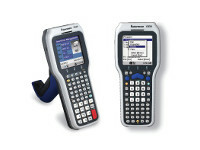 With CE .NET, Intermec has added features to the Intermec CK30 that enhance mobile data collection such as a simplified menu system tailored for key-based devices, display icons to provide intuitive, graphic-based status information to the operator and a data server for editing, filtering and routing to save programming time. The Intel® XScale™ processor, running up to 400 MHz, provides more than enough power to drive the bright color display, a range of peripherals, repetitive scanning and wireless network traffic. It delivers the level of response time and throughput required for real time, mission-critical applications in warehousing, distribution, manufacturing operations and retail in-store management. Because of the many configurations available, you can tailor the Intermec CK30 to your usage plans to support a wide range of applications. Three distinct keypad options – ranging from the simplified 42 key to a full 52 key alphanumeric keyboard – offer layouts for applications that range from shipping and receiving, put-away, picking, and cycle counting for the warehouse floor to price verification, stock management, and returns in the retail storefront. 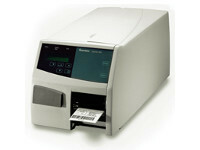 The Intermec CK30 applies superior technology and thoughtful design to all of these scan-intensive applications. 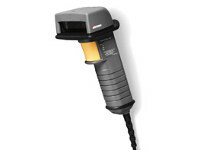 The device offers new linear imagers that deliver reliability and ideal scanning capabilities for arm’s length scanning applications. 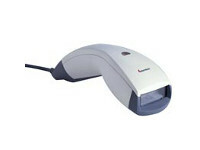 Users are also able to select laser scanners for either standard range or long-range applications. 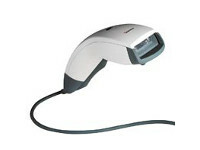 Additionally, an area imager option also supports 2D symbologies, and users can attach tethered scanners for additional ergonomic flexibility. Position your enterprise for growth by selecting the 64MB RAM/64MB Flash model with a bright color display for the highest level of application flexibility. Or, choose less memory and a high contrast mono display for very thin clients or terminal emulation to reduce your initial investment. Additional configuration alternatives include Bluetooth™ for the convenience and flexibility of wireless peripherals such as wearable label printers. Because the Intermec CK30 can run Intermec TE2000 as well as third party terminal emulation clients, it enables unparalleled portability of legacy applications for mix-and-match operability with existing TE networks. In addition, the Intermec CK30 offers investment protection because it can run existing Intermec 2400 family applications with only a re-compile. The Intermec CK30 is an attractive upgrade platform not only for the many legacy C++ applications from the 2400 Family, but also from other Intermec or competitive products. Web-based applications can easily be implemented either through Intermec’s text-based dcBrowser™ or the bundled lock-down browsers based on Pocket Internet Explorer or IE6. The CK30’s Wi-Fi® certified 802.11b/g radios, including a CCX (Cisco) Program certification*, insure consistent performance by providing the best available wireless network throughput and reliability. For off-line applications, the Intermec CK30 batch model readily fits into a single or 4-bay communication dock with USB, RS232 or Ethernet host connectivity. Security features of the Intermec CK30 are second to none with support for traditional WEP and the new Wi-Fi WPA standard, as well as full 802.1x compliance including the Windows standard EAP-TLS and PEAP, EAP-TTLS and the compatibility with many existing networks with LEAP support. Government users can select the FIPS security standard, also available to commercial users for increased security. The user-tested ergonomic design of the Intermec CK30 has rendered a lightweight and uncommonly well-balanced device that reduces stress and fatigue during extended work sessions. Its sculpted back case is shaped to comfortably accommodate any hand size. An optional user-installable and removable pistol grip handle is ideal for highly repetitive scanning situations or accommodating user preference. An additional design feature of the Intermec CK30 includes a high capacity lithium-ion battery “back” directly integrated into the shape of the computer, so users can not only expect at least a full shift of usage without having to change the battery, but also can avoid the complications of a battery door. Intermec power management software ensures the longest possible battery life between charges. For user convenience, the Intermec CK30 batteries can be removed and charged separately, or the Intermec CK30 itself can simply be dropped into charge-only docks – or even re-charged while placed in communication docks. The Intermec CK30 can be factory configured for English and all Western European languages, or for display of Asian fonts including Chinese, Japanese, Thai and Korean. The Intermec CK30 is a rugged handheld mobile data collection computer featuring an embedded Microsoft Windows CE .NET operating system and an Intel XScale PXA255 processor. It is available in three discrete models. Browser support: Embedded browser tailored to device features with lockdown, based on Internet Explorer 6 (CK30C) or Pocket IE (CK30B). Also text-based browser option. Communications and charging dock: Single bay communications cradle with serial/USB/Ethernet. 4-slot communications dock with serial/Ethernet. Chargers: 4-slot battery re-charger; 4-slot terminal charge-only dock. UL Listed, UL 60950 and C22.2 No. 60950, TÜV Rheinland GS, EN 60950 and EN 60825-1, Mexico, NYCE Certified NOM 19, FCC Part 15, Canada, ICES-003 Class B, EN 55022 / CISPR 22, Class B, EN 55024. Compliant with all European directives, CE marked.